The documentary film Hit– co-written and co-directed by CLACS alum Adriana Loeff – takes a musical journey through the past five decades of Uruguayan culture and politics. Hit is showing in the Uruguayan Film Festival at NYU on Saturday, October 22nd at 8:00pm. All films are free and open to the public. Currently a producer at Televisión Nacional Uruguay (TNU), Adriana Loeff graduated from the Global Journalism – or GloJo – joint CLACS M.A. program. A Fulbright scholar, her research at CLACS focused on Uruguayan conditional cash transfer programs, which came about after the 2001 financial crisis led to rampant unemployment and poverty. She has also published articles in U.S. news sources, including NYU’s Pavement Pieces. 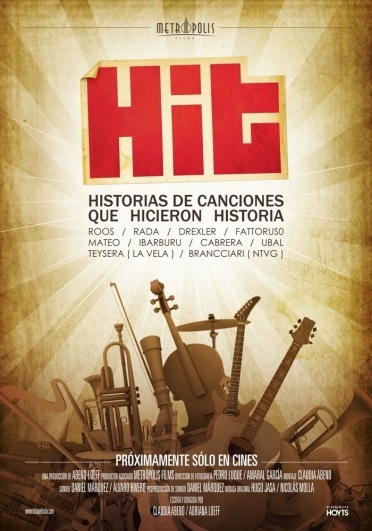 Official synopsis from HIT website: HIT tells the story of Uruguayan songs that have made history. In a journey that spans 50 years, the movie relates the milestones in music and in the life of a country, moments that have moved those who lived through them—and also those who did not. HIT reveals how these songs became symbols and survived the passing of time. It also discovers the personal and intimate stories of their composers: those who were forgotten, those who haven’t let go of their past successes, and those for whom recognition came too late. Through the memories and confessions of some of the most important names in Uruguayan music, HIT brings to life the stories behind the songs that defined a country and that, in some cases, helped to change history. The Uruguayan Film Festival runs from October 18th – 24th. Please note, I.D. is required for entry into all films. 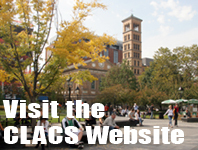 CLACS alumni and students are invited to an alumni meet-up on November 8th. Alums and current students, please join us! 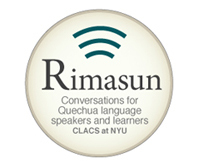 Date: Tuesday, November 8th, 2011, 7:00 p.m. – 9:00 p.m. This entry was posted in Alumni Achievements, Events and Happenings and tagged documentary, film, Fulbright, Uruguay. Bookmark the permalink.